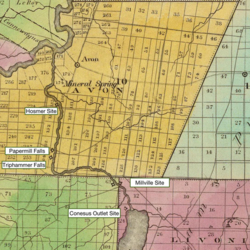 Detail from David H. Burr's "Map of the County of Livingston" shows the location of five different mills via icon. 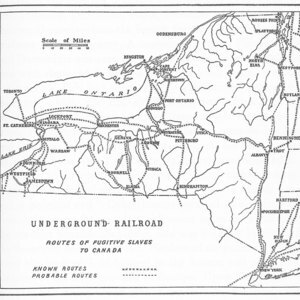 Captions have been added to identify their names. 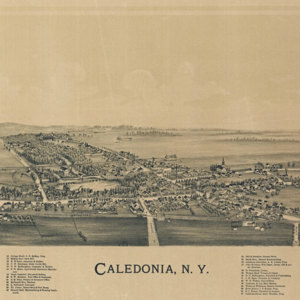 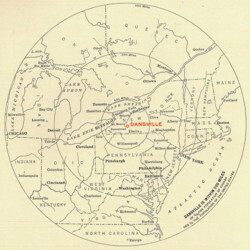 Bullseye map for a railroad promotional brochure reads; "Dansville is within 500 miles of 3/4 the population of Canada and 1/2 the population of the United States"
Divides the state of New York, as well as neighboring states of Connecticut, Massachusetts, New Hampshire and Vermont, into six distinct agricultural zones. 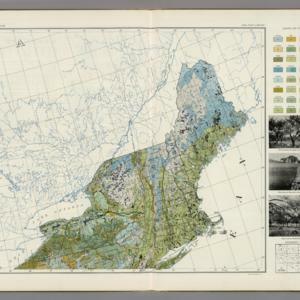 A soil series of the northeastern United States, including the map legend and landscape photographs. 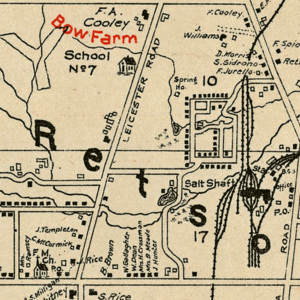 This map was originally published in the Atlas of American Agriculture. 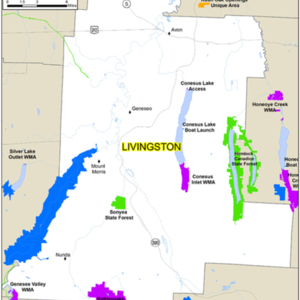 Livingston County state protected areas. 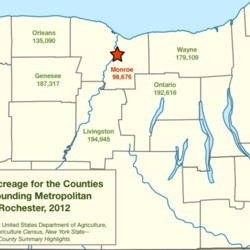 A map of land protected by the state in Livingston County, including state forests, parks, and wildlife management areas. 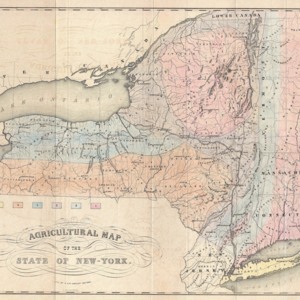 Adaptation of Wilbur Siebert's 1898 map focuses solely on New York state network, perhaps with a misleading sense of precision as to clarity of "routes"
Detail from "New Century Atlas" shows Retsof Mine and related infrastructure, along with area schools, farms, and churches. 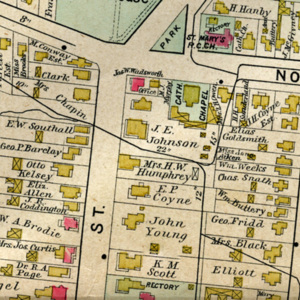 Just to the northwest of mine is an area of (segregated) housing built for employees that was known as "Little Italy."